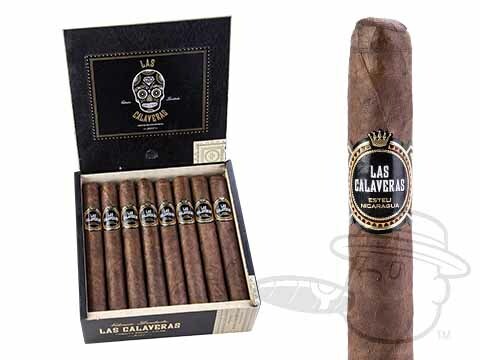 Handmade at My Father Cigars in Nicaragua, the Las Calaveras E.L. 2017 features a dark Ecuadorian habano maduro wrapper leaf over Nicaraguan binder and filler leaves to introduce a robust and exciting flavor profile to your humidor. Limited to just 1700 boxes of each size produced, these rare treats open the door to a unique, dark and woody taste with engaging tones of molasses and black pepper. By all means, imbibe and enjoy, but be sure to tuck a couple away to break out and savor once this extraordinary blend is officially history.